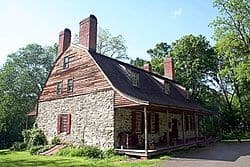 Mount Gulian is a reconstructed 18th century Dutch manor house on the Hudson River in the town of Fishkill, New York, United States of America. 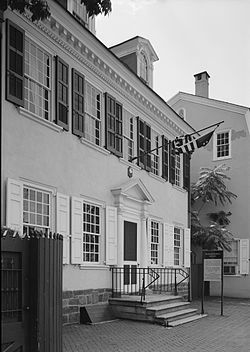 The original house served as the headquarters of Major General Friedrich Wilhelm von Steuben during the American Revolutionary War and was the place where the Society of the Cincinnati was founded. 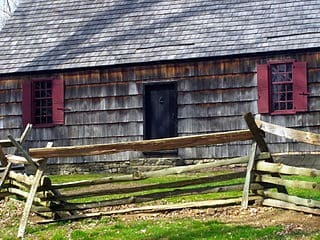 The site is registered as a National Historic Landmark. 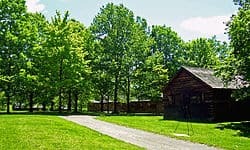 On the morning of May 13, 1783, a group of officers of the Continental Army met at Mount Gulian to found the Society of the Cincinnati. The building was extended by in 1804 by Daniel Crommelin Verplanck, the grandson of Gulian Verplanck II, who also laid out the garden. When Marquis de Lafayette visited the house on his return to America in 1824, he stayed in the new addition.